On November 10 1995, renowned Ogoni environmental activist Mr. Ken Saro-Wiwa was hanged without fair trial by the Nigerian Military Government. His death and the deaths of 8 other Ogoni leaders that day drew to a close his personal campaign to cease the devastation of the land, water and sky of the Niger Delta, but sparked international outrage and greater scrutiny of corporate greed in light of political marginalisation of minorities. Nigeria was suspended from the UK Commonwealth, but as years have passed, memories have faded and impetus waned. Saro-Wiwa was a prolific writer who used literature to challenge the status quo. He was a founding Member and President of the Movement for the Survival of the Ogoni People (MOSOP), an organisation whose very name epitomises the vulnerability of the population. MOSOP was admitted to UNPO in 1993 and soon after Saro-Wiwa became Vice Chair of UNPO, a position he held until his death. It was through UNPO that he first came to Europe to describe the devastation in the Delta. As a result of his eloquence and passion, the plight of the Ogoni people hit Time Magazine and CNN. 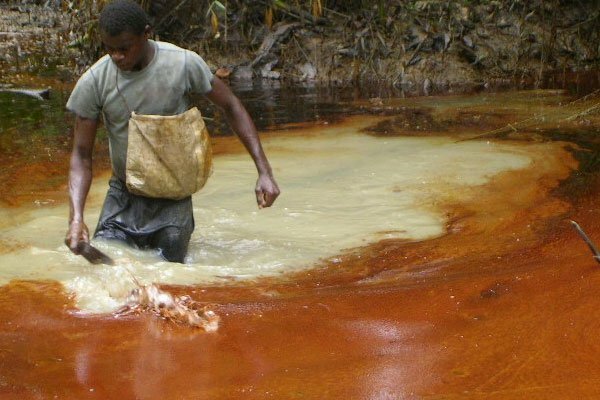 UNPO has continued to campaign for greater involvement of the Ogoni people in the decision making processes that affect their long-term livelihoods. Equally, Ogonis have taken leading roles in the running of UNPO; current MOSOP President, Mr. Ledum Mitee completed two terms as UNPO President in May 2010. On this day exactly 15 years after the execution of Ken Saro-Wiwa, activists around the world will hit the streets to commemorate his death and draw attention to his nonviolent cause. Winner of the 2009 British MOBO award for ‘Best African Act’, Nigerian-born hip hop and soul singer and songwriter, Nneka throws a bit of Bob Marley, a measure of Nina Simone and a lick of Eryka Badu into her soulful recipe. The concert pays tribute to the life and campaigns of Nigerian environmental activist Ken Saro-Wiwa, executed in 1995. Followed by DJ Kingsley til midnight.